The shooting of innocent victims is becoming all too common in today's world. As my husband and I have watched report after report come in, we worry about our children. 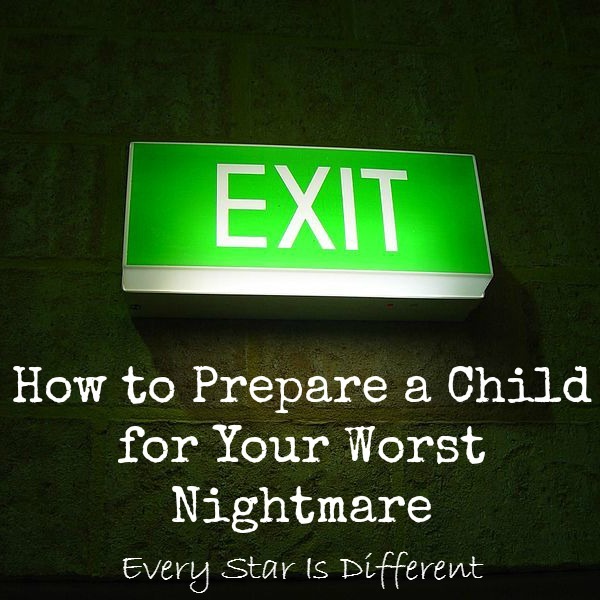 This worry led us to do some research into how to prepare a child for your worst nightmare. What if your family was in a situation where there was a live shooter? Do you have a safety plan? When the Sandy Hook Elementary shooting occurred our oldest three children were 5, 4, and 3. My husband and I debated back and forth about whether or not we should tell our children about it. Could we protect them from such horrific current events? Should we? In the end, we decided to tell them. This was a good thing, because the news was everywhere and no matter how much we tried to protect them, they were going to find out. We'd rather have it come from us. Sure enough they did hear it in other places. It was brought up and discussed in front of them, at church of all places. Fast forward four years and our children are even more aware of the news and current events. Shooting are becoming all too common. 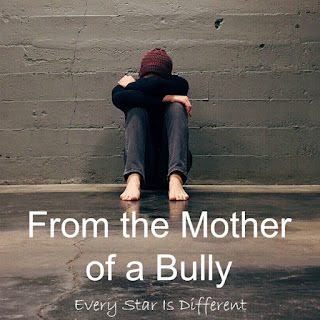 At first, as these incidents occurred, we talked about the rare circumstances. We talked about guns. If a person was mentally ill, we talked about what that meant. And we prayed... for the victims, for the guilty, and for their families and friends. But as the children began to see and hear more about current events, there began to be new questions and discussions. Discussion about race, religious beliefs and sexual orientation are common place now and the discussion are soothing. But talking about what they may hear or see, especially when it comes to shootings and attacks, isn't enough anymore. The kids are becoming more frightened, especially as our worst nightmares are becoming a reality. Lately I've been reflecting on how we've handled past fears and anxieties. I remember vividly when Bulldozer became obsessed with extreme weather conditions. His obsession came from fear. And so we read, and studied, and made a family plan. No matter the weather condition or the chances of it occurring where we live, we had a plan. Have I ever mentioned how Bulldozer still requests to look at the radar map on the weather channel website on a regular basis? Did you know he can identify all of the different types of tornadoes as he sees them on the news? To this day Bulldozer knows more about extreme weather than any child I know. But in the process of learning, he overcame his fears. As he gained more confidence in himself that he could handle whatever came, he was okay with any weather that might be coming our way. The family plans that we put in place and practiced did that for him. After yet another shooting recently, the kiddos anxieties are soaring to new heights. We decided it was necessary to set up a family plan about what to do in case we find ourselves in a place where there is a live shooter. I contacted a dear friend of mine. Her husband is in law enforcement. In order to set up a family plan in case of a shooter or an attack, I knew I needed to talk to someone who was an expert on this stuff. Sure enough, I received some amazing answers. I share them here because I know I'm not the only one that thinks and worries about our worst nightmares coming true. Everyone, including our children, can benefit from having a plan in place, especially when the plan is practiced and mastered. How do we prepare a child for our worst nightmare? 1. Run and get as far away from the situation as possible. This may seem simple, but for a child, there are a lot of little steps involved in this process. 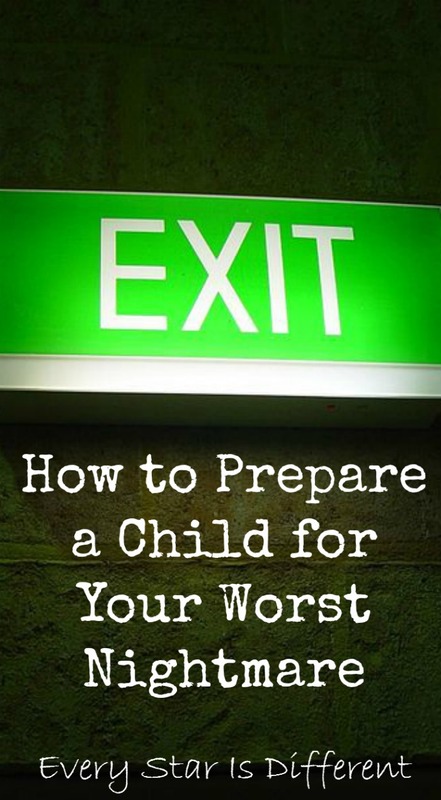 A child needs to be able to locate an exit sign and know what it is. Once she locates exit signs, she needs to run towards the closest one, and NOT stop for any reason. There is no time to ask questions. There is no time to look for a parent or older sibling if they are not near. She must think only about herself and get to the exit to escape. If a parent is right next to the child, she can grab the parent's hand. Don't ask questions, just follow the parent. It's up to the child to watch the parent ahead of her. 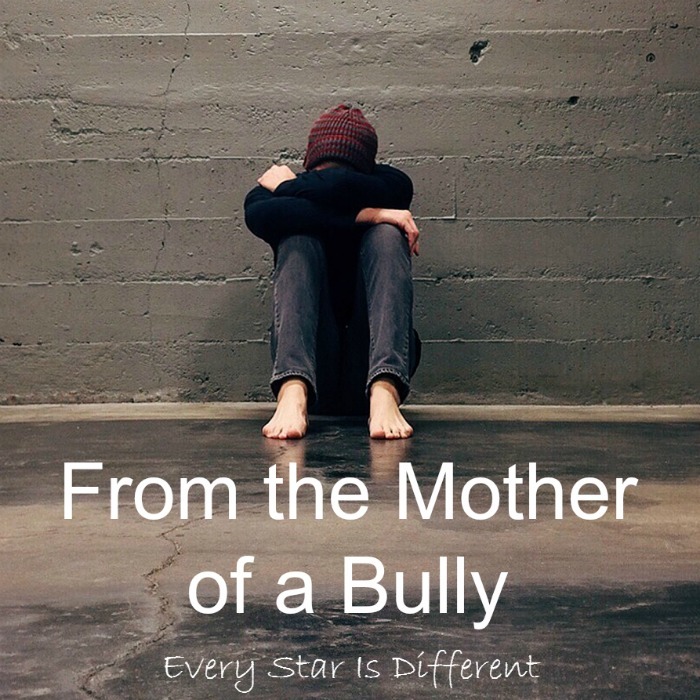 In a situation like this, a parent is not going to have the time to look back, without major consequences that could cause the child or both to be injured or trampled on. If a younger sibling is next to the child, it is okay for the child to help the sibling. It was recommended to us to have sibling buddies set up ahead of time when going anywhere, so there's always someone watching each other's back. But in the horrible case that a sibling or parent are hurt, the child must always know, her first responsibility is to herself, and it's okay to continue to run, even if others can't. Remind your child about sensory stimuli that may occur in these situations. People will be pushing and shoving. It may be dark. There may be REALLY loud noises from weapons and people around her. Even smells may throw the child. It may be wet. Help her understand this. 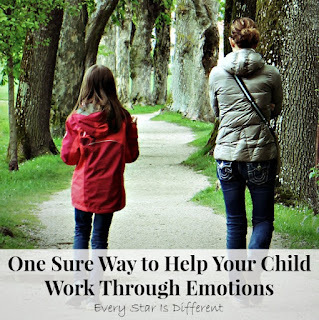 You may want to practice with varying sensory stimuli experiences at home, in safe ways, that in no way endanger or cause harm to your child in any way. Once your child has escaped the building or area, teach her to continue to run. If you are able to set up safety points in your community, do so. But help your child understand that she will be found by someone who can help her, no matter where she ends up. Sometimes your child may be hurt and can't get to the safety point. Sometimes she may be disoriented or in shock. In these cases you want your child to feel comfort, even if you're not there. Remind your child NEVER to return to look for you or siblings. When a child is unable to reach a safety point, or does and no one else is there, tell her to look for a mother with children and ask for help. In today's society, one can never know who will protect our children if they are lost, but chances are another mother with children will be the safest option. Be sure your child learns her full name, phone number, and address. 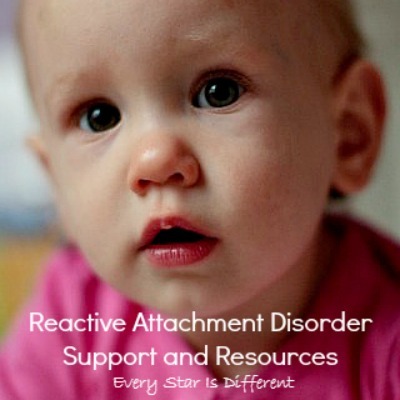 If your child doesn't know this information yet or is unable to learn it, make sure the information is somewhere on her, whether on a necklace, bracelet, written in clothes, etc. 2. If you can't run, hide. Teach your child to play hide and seek. Show her how to find the best hiding spots, where no one can find her. Once she's hiding, teach her to stay there until she is found, no matter what. There is always a chance that a "bad guy" can pretend he is a "good guy" and call out to see if anyone is there. Until your child is found, she must stay put. Lastly, teach your child to be silent. This does not just mean no talking. It includes body movement as well. Practice breathing. Help her learn to focus attention on something that can help her remain calm, even if she is hurt. All of this may help her. 3. If you can't run, and can't hide, fight back. This responsibility is an adult responsibility. 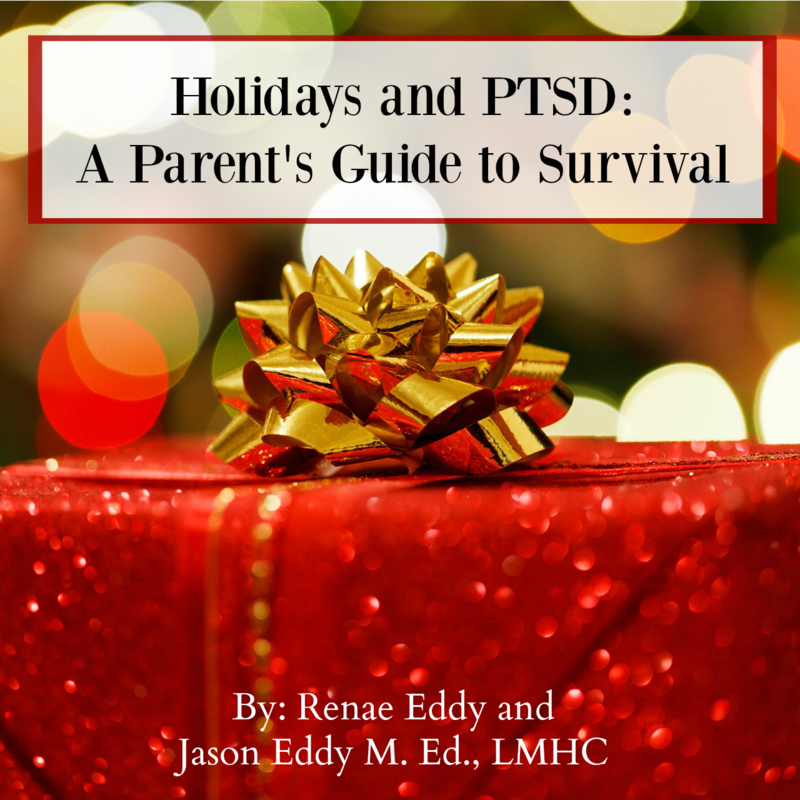 However, it is always important to teach your child that she has your full permission to fight back when in danger, if there are no other options. She is allowed to defend herself. The child will not get in trouble for this. Teach your child how to fight back using her voice and her body. Assure and reassure your child of this, because in that instant, if she remembers anything, she will remember what you taught her. Now as adults, we know the chance of one of our children being in a situation like this is less than 1%. We also know that they may freeze up, just like we might. However, if we have a plan, and if we practice our plan, we have a better chance of survival. When it comes to our children, we want them to survive more than anything else. Remember to teach your child, that in the moment, if she forgets the plan, if she doesn't do anything, for whatever reason, that's okay too. You know she will have done her best. Nothing is her fault. If she gets hurt, or someone beside her gets hurt, the child did everything right and you will always love her. Reassure them of this most of all. It's helpful to hear an informed perspective like this. I think the challenge for me is teaching my kids these skills without scaring them. We shield them from the news, yet want them to be prepared for the worst. It's a tricky line to walk, but I think an important one to try and balance on. Thanks for sharing with #EverythingKids.